The ongoing trade dispute between China and the United States has offered few signs of an immediate resolution. Claims by the U.S. government of unfair trade practices on China’s part center on what the Trump administration argues are abusive practices deriving from China’s investment rules. 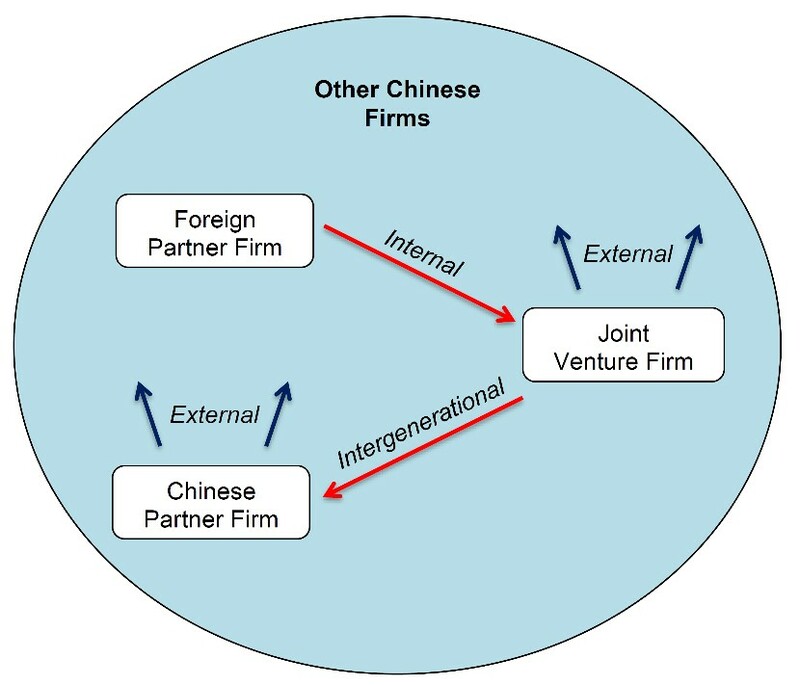 Specifically, multinational firms seeking to conduct foreign direct investment (FDI) in China are often required to form legal business relationships with a domestic Chinese partner, typically in the form of international joint ventures (IJVs) that establish a new offshoot firm. These relationships – most often required in high-tech manufacturing industries such as automobile production, electronics, pharmaceuticals, and advanced chemicals – are characterized by explicit technology transfer requirements wherein the rights of the foreign intellectual property holder are often severely curtailed. IJV partnerships typically require the foreign firm to transfer proprietary methods, designs, and other know-how to the joint venture firm. The implicit objective of such a policy is to foster the transfer of advanced foreign knowledge and trade secrets – a feature that foreign firms are forced to reckon with as the price of doing business in the world’s largest market. China has recently taken steps to liberalize its joint venture requirements in certain industries, but the policy environment remains one in which a technology transfer is expected of foreign investors. For instance, while China’s government was recently able to lure automaker Tesla to establish a production line in Shanghai by allowing the company to wholly own its factory, the investment agreement still entails cooperation with local authorities on R&D and technology. One of the primary benefits of foreign investment for a host country is exposure to advanced foreign processes, management practices, and designs. In principle, this exposure should enhance the competitiveness of domestic firms, who will benefit from the technology transfers that arise in the form of higher productivity and expanded innovative capacity. China’s foreign investment policy is grounded in such a premise, as the original proponents of the outward-looking foreign investment policies that began in the late 1970s argue that opening up to foreign investment is the most efficient way to obtain foreign technology. A sizable literature has uncovered evidence on the existence of such technology transfer effects. The foundational studies in this area – for example, those of Javorcik (2004) or Keller and Yeaple (2009) – show that FDI generates broad knowledge spillovers on host country firms as multinational investors transfer their technology and methods to their foreign affiliates. These effects are diffused both directly and indirectly to domestic firms, who, as levels of foreign investment increases, tend to exhibit higher levels of productivity or engage in more knowledge creation. For foreign investors, the benefits availed by joint ventures are clear. A domestic partner can help the foreign investor navigate the regulatory and cultural complexities that arise from entering a new market. To ensure the success of their foreign operations, multinational enterprises seek out partners with large market shares that possess a well-developed capacity for innovation or partners that are already well-established in international markets. On the other hand, the threat of a Chinese joint venture partner appropriating intellectual property is a real one for foreign investors; however, the reality is that such costs seem to be outweighed by the benefits to multinational firms who establish Chinese operations. In our recent work (Jiang et al. 2018), we analyze the above aspects of IJVs with an emphasis on exploring their role in facilitating the transfer of foreign technology to Chinese firms, and in doing so investigate whether China’s investment policy achieves its purpose. IJVs are a unique mode of foreign investment and there are multiple channels of technology transfer (depicted in Figure 1) through which domestic firms might benefit. In addition to any contractual and regulatory obligations, a foreign investor has a direct incentive to transfer proprietary know-how to its joint venture in in order for the new operation to succeed. This helps joint venture firms become strong performers relative to other domestic firms. This first channel is what we denote as an internal technology transfer that takes place between the foreign parent and the offshoot joint venture firm. The second effect that we consider is one in which the Chinese IJV partner benefits indirectly from the transfer of technology to the joint venture. Foreign investors have little incentive to transfer technology directly to their joint venture partner, but knowledge could still be diffused to the partner through indirect observation or outright appropriation. We denote this effect as the intergenerational technology transfer effect, as IJVs generate spillovers on their domestic parent firms. Finally, domestic firms outside of the joint venture might themselves be impacted by the proliferation of foreign investment and could benefit indirectly from the spread of foreign technology. The knowledge spillovers that arise from FDI represent the external effects of IJV formation. We quantify the channels outlined above in an econometric framework using an administrative firm-level dataset that accounts for all joint ventures operating in China from 1998–2007. Our dataset allows us to observe detailed attributes of both the joint venture firms as well as the domestic Chinese partner firms, along with all other Chinese firms with at least 5 million RMB in yearly sales operating during the period of time covered by our sample. First, we explore the characteristics of the domestic Chinese firms that are selected as partners to form an IJV. The Chinese firms most likely to be chosen as partners in IJVs are larger and more productive (as measured by total factor productivity), engage in more innovation and patenting, and are more export-oriented. Such productive, well-established firms on the frontiers of innovation are the firms that possess the absorptive capacity (after Cohen and Levinthal 1990) to benefit from the intergenerational technology transfer effect posited earlier. As evidence for the internal technology transfer effect, we show that joint venture firms operate very well along several dimensions of performance. Controlling for other firm characteristics, joint venture firms are on average more productive (by about 30 percent as measured by total factor productivity), secure higher sales, and engage in more patenting relative to other, non-joint venture Chinese firms. This is evidence consistent with the beneficial transfer of technology from the foreign investor firm. We then investigate whether the domestic Chinese partners in joint venture relationships are also better performers as a result of their indirect exposure to foreign knowledge. Importantly, we control for the fact that these partner firms are typically better performers even before the formation of the joint venture. We account for this endogeneity using two approaches. First, we construct our sample in such a way that domestic partner firms are matched with domestic non-partner firms that have similar attributes to ensure that the treatment and control groups are similar. Second, we control for firm-level fixed effects to capture the underlying characteristics that make domestic firms more attractive to foreign investors looking to form a joint venture. The domestic parents of IJVs exhibit above average performance along the same dimensions as joint venture firms, although to a diminished degree. Again, the positive effects on firm performance imply the indirect transfer of knowledge via the intergenerational channel. To reiterate the point from earlier, while foreign investors have a strong incentive to transfer technology directly to their joint ventures, no such incentive exists with regard to their Chinese partners. The fact that the intergenerational effect is more muted than the internal effect is consistent with foreign investors taking efforts to prevent the dissemination of their intellectual property. Finally, we examine the effect on domestic firms in industries where IJVs are more prevalent. This external effect – the leakage of advanced technology beyond the confines of IJVs – is found to engender better performance among other domestic Chinese firms. 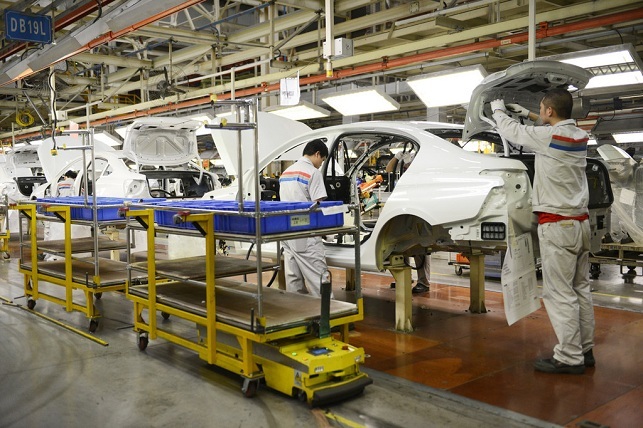 When the share of an industry’s sales conducted by IJVs grows by 10 percent, the typical domestic Chinese firm in the industry is found to be on average 10 percent more productive. For the effect arising from domestic IJV partners, a 10 percent increase in partner firms’ share of industry sales yields around a 4.5 percent increase in other firms’ productivity. Strikingly, the bulk of these external effects seem to arise from joint ventures established with American partners, an aspect of our analysis that sheds light on the origins of current U.S. complaints about unauthorized technology transfers. How do these external effects compare to those from wholly-foreign owned FDI? Our estimates indicate that the extent of the knowledge spillovers from these two sources are approximately equal, with each accounting for around 10 percent of the productivity growth of Chinese firms over the period of our sample. These are large effects, but the question must be asked whether China’s joint venture policy leads to a more efficient outcome than what would arise from a more open environment. If the burdens imposed by the IJV requirement act as a deterrent for FDI, it could be the case that China’s economy would benefit from a more liberalized investment regime. Originally, the main channel through which foreign investment entered China in recent years IJVs have yielded much of their role to wholly-foreign owned enterprises. This de-emphasis of IJVs has not deterred the Trump administration from enacting billions of dollars in retaliatory tariffs in response to Chinese investment rules, setting off the largest trade dispute in recent memory. The fact remains that IJVs are distinct from other forms of FDI in the precise ways in which they facilitate technology transfers, and so long as China seeks to close its technology gap with the West, IJVs will remain a viable option for acquiring foreign knowledge. Our work sheds light on this important issue in investment policy and unpacks an important aspect of globalization. The effects of FDI have been well-examined, but the channels of technology transfer have been little explored. Importantly, we uncover the novel (and timely) finding that the effects arising from IJVs seem to be approximately as large as those that arise from wholly foreign-owned FDI. Whether China can be coerced to shut off this source of knowledge diffusion – and whether the unilateral retaliation enacted by the U.S. will persuade them to do it – are questions without obvious answers. This article is a reprint with minor revisions from the VoxEU article. Bloom, N., M. Schankerman, and J. Van Reenen (2013). “Identifying Technology Spillovers and Product Market Rivalry,” Econometrica 81(4), 1347–1393. Cohen, W., and D. Levinthal (1990). “Absorptive Capacity: A New Perspective on Learning and Innovation,” Administrative Science Quarterly 35(1), 128–152. Javorcik, B. (2004). “Does Foreign Direct Investment Increase the Productivity of Domestic Firms? In Search of Spillovers through Backward Linkages,” American Economic Review 94(3), 605–627. Jiang, K., W. Keller, L. D. Qiu, and W. Ridley (2018). “International Joint Ventures and Internal versus External Technology Transfer: Evidence from China,” NBER Working Paper No. 24455. Keller, W., and S. Yeaple (2009). “Multinational Enterprises, International Trade, and Productivity Growth: Firm-level Evidence from the United States,” Review of Economics and Statistics 91(4), 821–831.